Yesterday, the new Canon Powershot G7X, Canon’s high-end compact, was presented in the PhotoKina 2014. It has a 1” sensor and the intention to compete against the Sony RX 100 Mark III, the queen to overthrow. 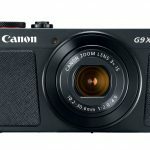 With all the fuzz caused by the Canon EOS 7D MarkII, yesterday in PhotoKina 2014, it seems that the new canon Powershot G7X passed without leaving a lasting impression, but from here we think that this may be the most interesting camera that Canon has presented in this fair. 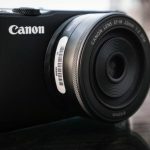 Canon has clearly seen the path marked by the other brands in the world of high-end compacts, and has launched its new 1” sensor and 20 Mp that are so trendy today. Backlit 1-inch CMOS Sensor with 20 Mp. It also has 31 focus points, which speeds up the camera’s AF and can shoot up to 6.5 fps, up to 700 frames, although they don’t specify if this speed is maintained with RAW format. It has a customizable control ring like the S Series, which has also lend its aesthetics, one of the bests we can find in the market, to this new model. Regarding the topic of the video, and knowing the good result that sensors of this size deliver, the features and capabilities are fall short of the of the competition models, although we anticipate in advance that it doesn’t record in 4K. Now we are able to do some manual adjustments during 60p FullHD recording. It also comes with NFC and WiFi connections, to be able to share our photos at every moment, although, for a camera of these features, the connectivity idea would be better suited to do security copies of the RAW formats, as it makes no sense to shoot in jpeg format. This is only my personal opinion. It has everything to situate itself as one of the most sold high-end compact cameras. All brands have forfeited their midrange and low-end products, given the development of the smartphones, and are trying to open a new market that was very limited. 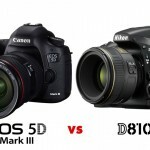 Canon G1X MarkII, a great camera that is a compact on the strict sense of the word; and the S120, with an suitable sensor size but that was too small for what is expected today. The marketing department has realized this situation and that is why we have this new G7X. We anxiously hope to be able to do deeper testing on this model. Things won’t be easy for it, especially with the Sony RX100 Mark III and the new high-end compact cameras that were presented in this PhotoKina that will be remembered as the one with the high-end compacts and lenses. Next These are the reasons why Nikon won’t be launching a CSC with APS-C sensor or a Full Frame on the short run.